PsyPets is a fun simulation browser game set in the fantasy world. PsyPets is about cute pets you can play with. While creating a pet, you can choose basic skills, appearance and character for your little buddy. In PsyPets you can find lots of services and you can visit different places. Go to grocery store and pick out delicious food or visit the tailor to create cool costumes. The smithery section gives you an opportunity to turn material into fun items. Lionzer is a free simulation browser game similar to Dogzer and Horzer. 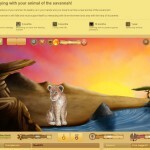 In Lionzer you can adopt exotic animals of the savannah. The list of various species includes baboon, cobra, crocodile, lion, viper, zebra etc. Your animal’s profile gives you a clue about his/her danger, parasite, strength and health. Select a profession to earn certificates and shop for your pet to distinguish him/her from others. Challenge your pet for competitions, give your pet bonuses and take a look at the zoo to find abandoned animals. Let’s take a closer look at this simulation game called K-9 : the game. It allows you to get yourself a dog and use various features. Take a look at your kennel where you can see all the basic information about your account and your dog. Visit veterinary clinic to get annual vaccinations, do tests, offer treatments, and so forth. You could search for events and enter your dog in different events. Once in a while you can also read through health issues to be aware of them. Interested? 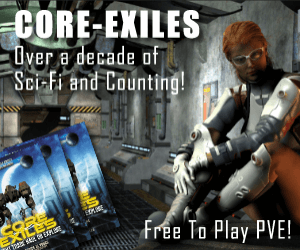 Visit K-9 : the game website! 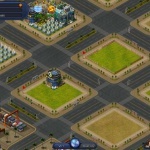 Biz Tycoon is a business browser game. The purpose is expanding your company. Future market is where you trade futures. Buy low, sell high and earn profit from trading. You need money to upgrade your company and invest in your business. Purchase land to open your first shop. Choose a place for your shop and pay in gold or in cash. Start trading even more, earn a bigger profit, purchase a second land, build more shops and let your business expand. You can construct a furniture shop, clothing shop, drug store, jewelry store and much more. Hacker Underground is a simulation for hackers. Get experience in various ways to gain levels to obtain more power, each level gives you a point to spend. Manage your clan or join into an existing one. You can modify your game desktop as you see fit. Player vs Player feature for advanced players. Regular fun events as well as updates. Quick jobs to earn money, for example stealing and hacking passwords. Interested? Visit Hacker Underground website! 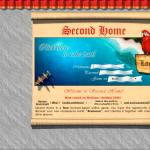 Second Home is a browser game in the world of 16th century. This was the time of early renaissance. Travel back to the year of 1570 and live historical life. Choose whether your character is Seigneur, Cleric or be a Merchant. Make new friends and chat with them or explore renaissance world “Aramoon”. You should also remember that you need to have a browser which can handle frames to play this game. Discover historical renaissance! Interested? Visit Second Home website! 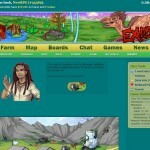 Exhibited is a browser-based text game with virtual pet dinosaurs. On the map you can find all the buildings and features such as stores, the fruit vine, hall of fame, vet, wishing well, and so forth. Open a bank account by selecting your password and keep your money in safe. The game offers you an opportunity to visit Dinosaur Museum, pick out clothes from clothes store and go to the library. You could also keep an eye on your alerts and play different games. TownTycoon is a fun online building game where you’ve been given an opportunity to construct your own town. The game offers you so many possibilities to build your own dream city. You can construct the road, change its directions and build various facilities. You can add marketplace, office, supermarket, hospital, store, bank, police building, and so forth. Industry tab allows you to build factory, solar plant, windmill, warehouse, train station and much more.